Circle, sniff, sit: Minnesota’s newest crack detectives aim to halt the spread of zebra mussels. 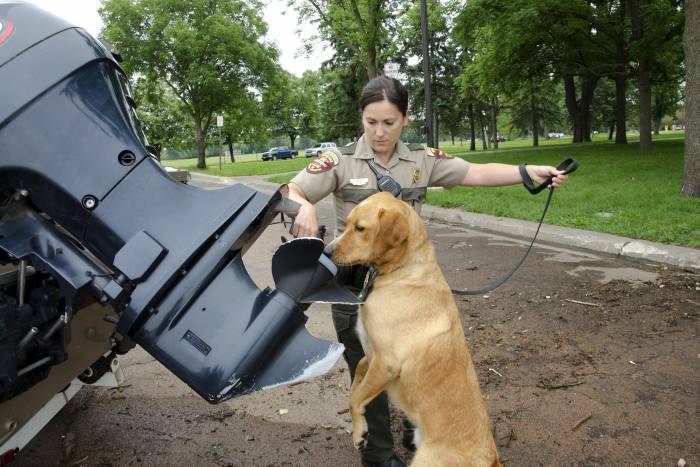 Four years after Minnesota’s conservation officers started using their snouts, the state’s Department of Natural Resources is doubling its four-legged force. Two German Shorthair Pointers, Shelby and Storm, are joining Labrador veterans Brady and Reggie in halting the spread of waterborne invasive species. The deputy quartet is specially trained to sniff out zebra Mussels hitchhiking on boat motors and hulls. Human officers are adept at searching and identifying clumps of the tiny mollusk. But what officers can’t see can goes undetected. That’s where the K-9 units come in. Invasive species are a problem in waterways across the country. Eurasian milfoil, carp, and zebra mussels outcompete and infest lakes, rivers, and streams. They often spread with human aid, and cleaning hulls and motors is the most effective means to prevent transporting them. 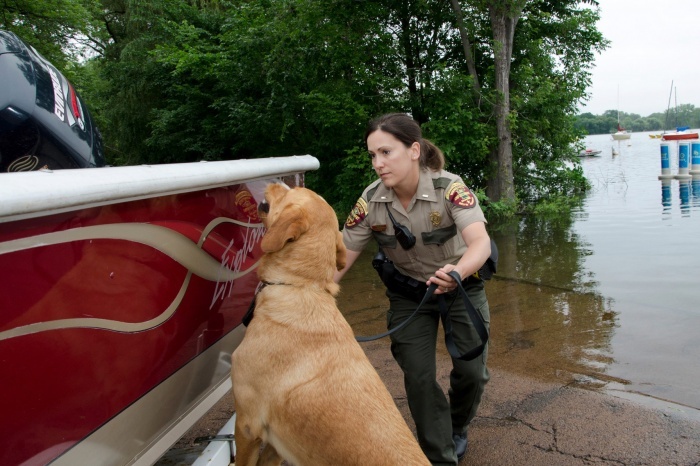 Minnesota’s DNR purchased and trained Shelby and Storm with federal grant money. In total, the pair cost about $13,000. Over the course of five weeks, the pups were trained to identify the scent of zebra mussels. In a demonstration, each took turns circling a boat, and when they detected an invader they sat down next to the hot spot. Their reward? A favorite toy and lots of petting. And when they’re not sniffing for zebra mussels, these pups “cross-train” in tracking people, and locating shell casings and firearms. Ideally, the DNR hopes to have any given dog in service for eight years. With similar programs already in place in California and Canada, the spread of dog deputies could be the key to halting the spread of invasive species. previous:#Vanlife Envy: Does My Festiva Look Small?